Home > Poly Deer Fencing > Poly Deer Fence Comparison - What Do I Need? Not all deer fencing is made the same way; If you can pull apart and break a sample with your hands it's not going to keep deer out - or contain them. 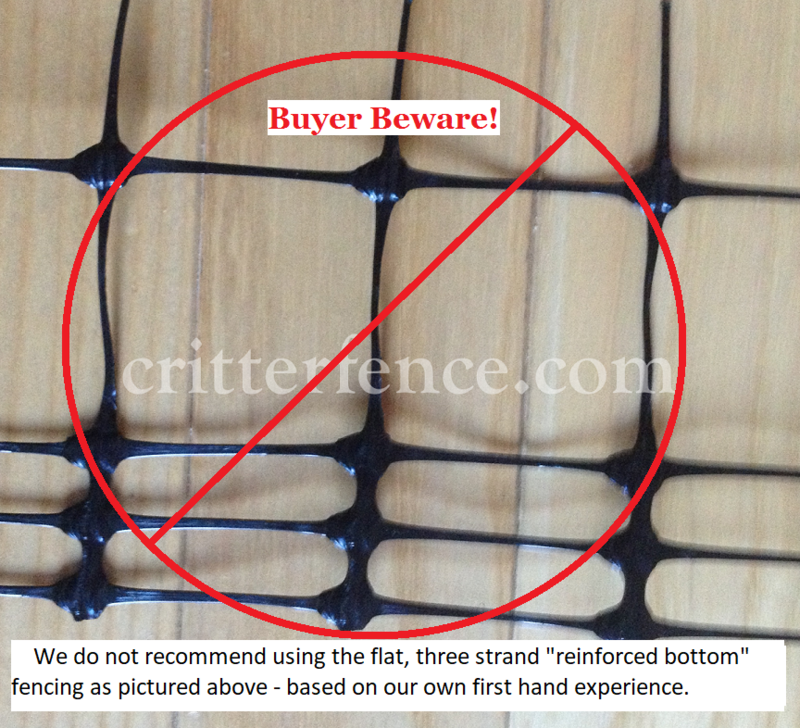 The least strong poly fence option from us, our Critterfence 700, is stronger than most products you will find in retail stores and will last longer. Most mass marketed or retail store products are all flat strand type poly. For same weight product, flat strand poly fencing has a lesser useful life compared to comparable for rounded strand or semi rounded. It's sometimes found folded in half and opening sizes can vary, typically 3/4 to 2". It's inexpensive to produce and is less expensive to buy. Used where nothing but the best is needed. Suitable for deer and elk containment or exclusion.